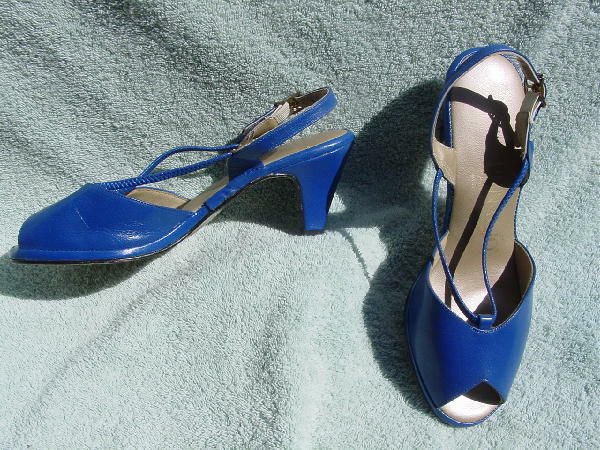 These medium blue leather shoes were made in the USA by Penaljo. They have a wide peak toe, sling backs, and a somewhat flexible cord attached to the base of the vamp and both sides of the slingbacks. She said she only wore them once.